Disclosure: prAna provided me with free product in order to facilitate this review. All opinions are my own and are accurately reflected in this post. 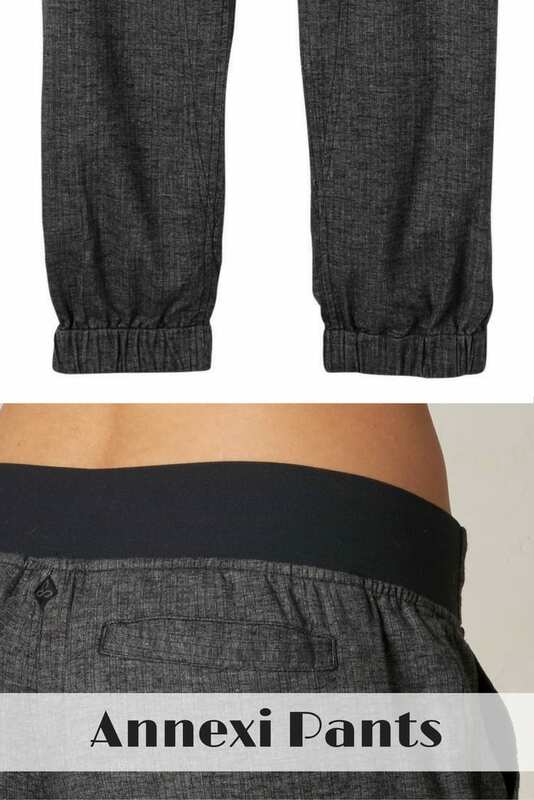 a hoodie with stretchy pants. These two outfits are my spirit animals. They are my comfortable clothing of choice and what I reach for day after day. As a result, I’m always on the hunt for new brands to try. When prAna clothing company offered to send me an outfit for my Fall adventures, I was beyond ecstatic. 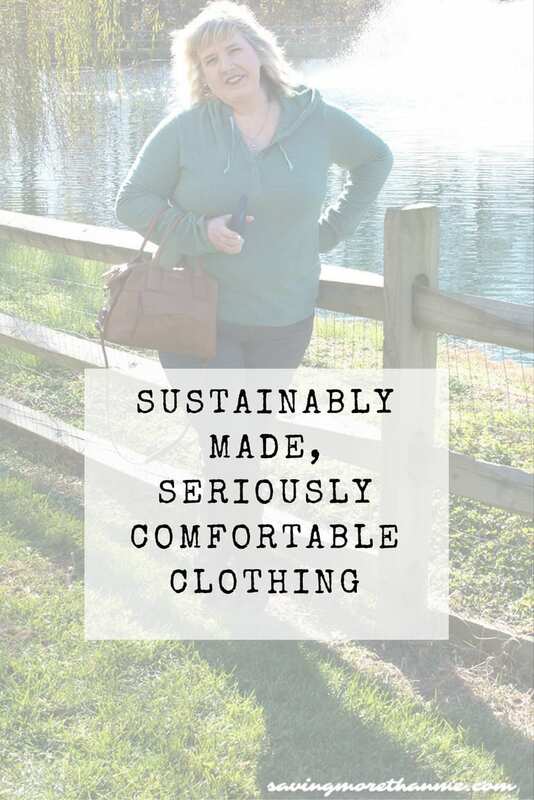 I had heard about prAna before because of their sustainability movement but I had never tried any of their clothing. They seek out (and use) materials from sustainable sources (e.g., organic cotton, hemp, recycled wool, etc.,). They make sure their workers are treated fairly (they are a member of the Fair Labor Association). The processes they use improve their industry (they use recycled paper tags, wrap their clothes with raffia instead of plastic, avoid using harsh chemicals, etc.,). The pants that I chose, the Annexi pant, contain 53% hemp, 44% recycled polyester, and 3% spandex. While it’s illegal to grow hemp in the US, prAna sources their hemp from a sustainable provider overseas. Because it’s naturally hearty, hemp doesn’t require any fertilizers or pesticides. This makes me happy because I’m not a fan of pesticides on my clothing. I’ve been known to break out in hives because of what other manufacturers have sprayed on their clothing. I have to admit, the Annexi pants are one of the most comfortable pair of pants I’ve worn in quite a while. Actually, they’re more comfortable than my trusty yoga pants! And the waistband? It’s a winner. It is seriously amazing for slimming down that extra in the middle, if you know what I mean. When this photo was taken, it was 44 degrees out so I paired Anexxi with my favorite comfy brown boots and handbag. The hoodie I’m wearing is the Devan henley. 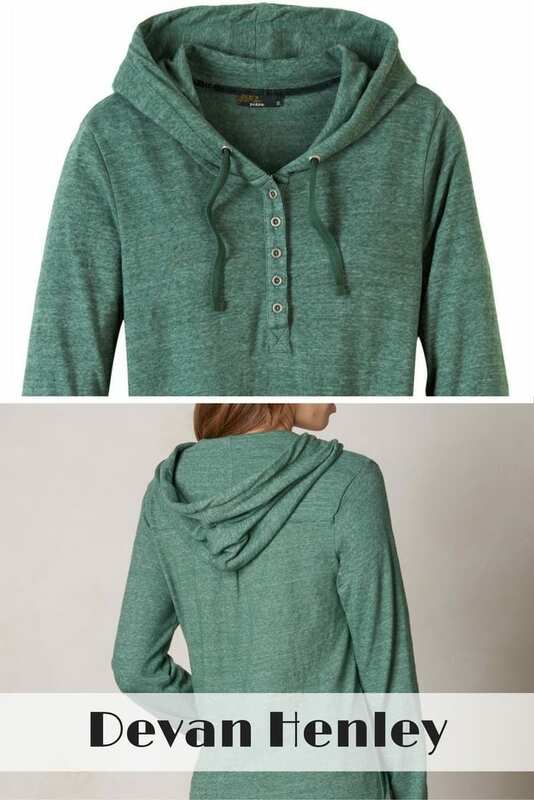 This cozy jersey is made from 52% organic cotton and 48% polyester. A reviewer on the prAna website noted that it ran large but I found it to be true to size. The hood and drawcord came in handy when the temperature dropped to 22 degrees later that night. Between a lightweight jacket and the Devan henley, I stayed toasty and warm. And very comfortable. What’s your favorite go-to outfit? Have you ever worn prAna before?